Kidney cell line of the african green monkey. 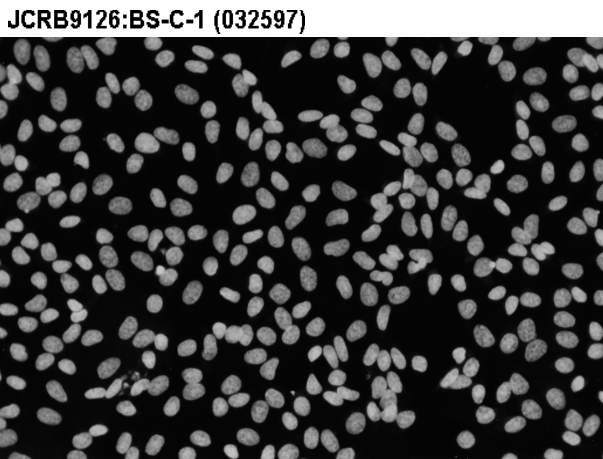 This cell line is a suitable host for transfection experiments of SV40 vectors. A novel 53 kDa actin binding protein from porcine brain--further biochemical and immunological characterization. 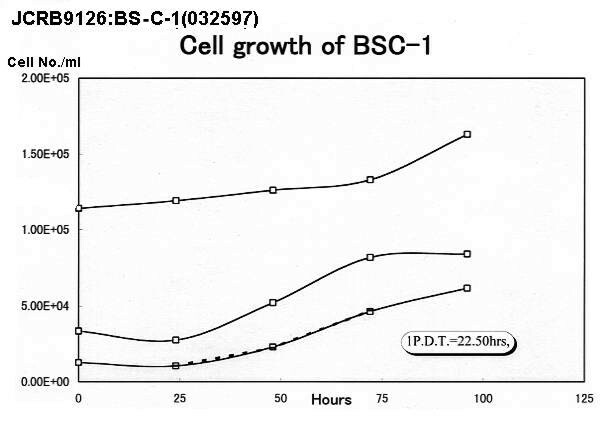 Purification and properties of epithelial growth inhibitor (EGI) from human platelets: its separation from type beta transforming growth factor (TGF-beta). 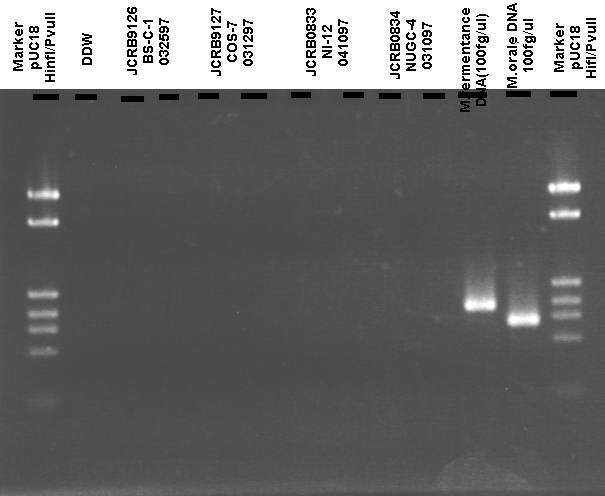 Rearrangement and mutagenesis of a shuttle vector plasmid after passage in mammalian cells. 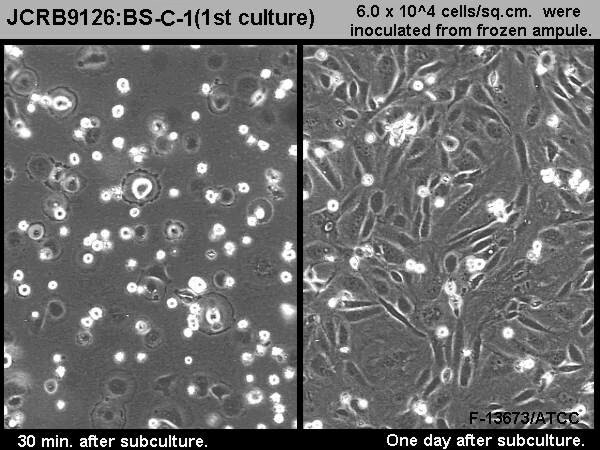 A comparison of three in vivo assays for cell tumorigenicity. A temperature-sensitive mutant of simian virus 40 affecting transforming ability. 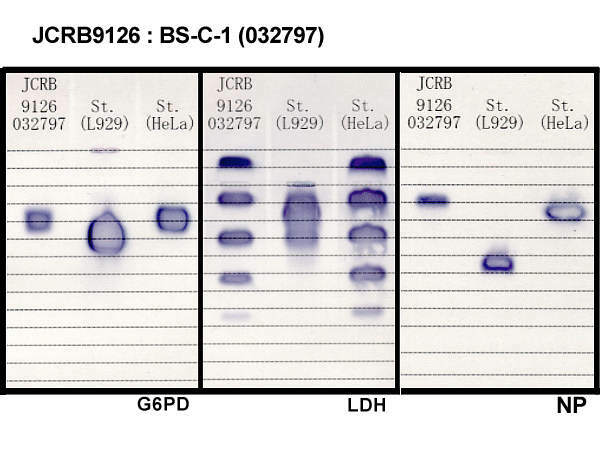 THE SENSITIVITY OF GRIVET MONKEY KIDNEY CELL LINE BS-C-1 FOR PROPAGATION AND ISOLATION OF CERTAIN HUMAN VIRUSES. 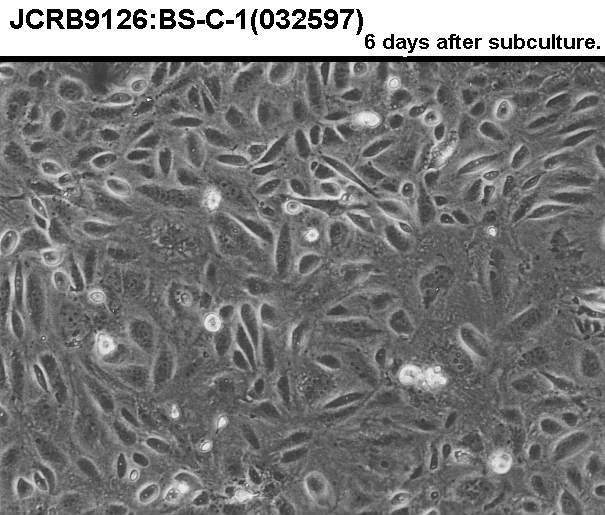 BIOLOGIC CHARACTERISTICS OF A CONTINUOUS KIDNEY CELL LINE DERIVED FROM THE AFRICAN GREEN MONKEY. 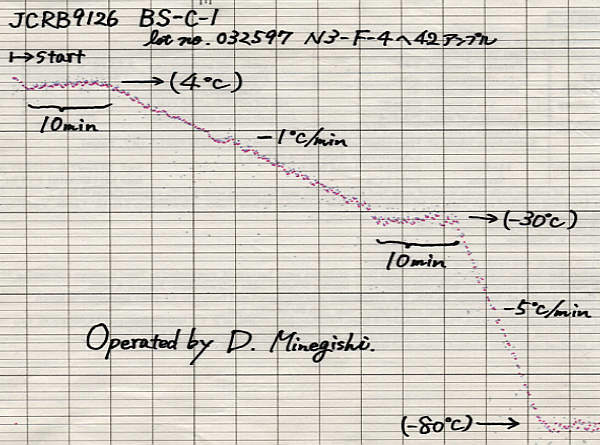 Cells harvested with 0.25% trypsin and 0.02% EDTA for 5 minutes at room temperature.